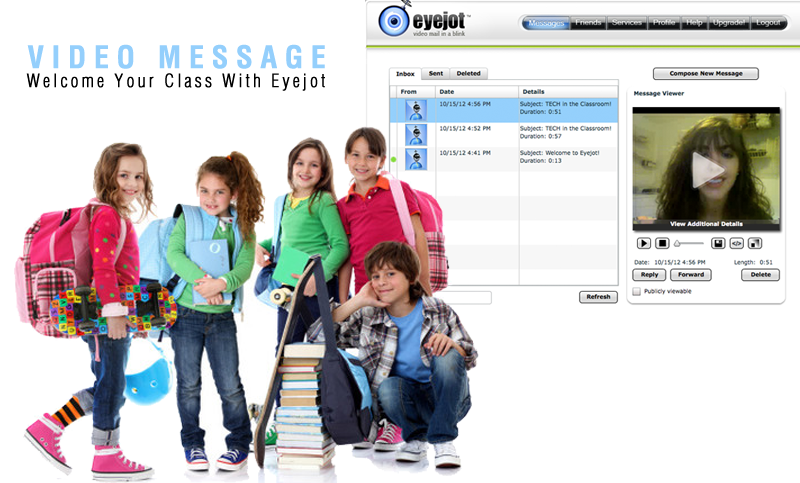 Eyejot is a free web 2.0 tool that makes it super easy to send video messages to your students and their parents with just the click of a button! You can welcome your new students before school starts or send a reminder to parents. Here is an example of a video message I made for one of my education courses.